"Its not how deep you go.. The 'Yellow Emperor's Classic of Internal Medicine' by Huang Ti circa 2590 B.C. talks of massage as one of the modalities of medicine. Massage was also used within the martial arts traditions. Ancient Egyptian wall paintings demonstrate the beginnings of reflexology about 2500B.C. Close to 1000B.C. Japanese Buddhist monks studying in China bring massage techniques which relate to meridians and energy points back to Japan. Shiatsu is born out of this. Hippocrates, the Greek 'father' of physical medicine calls Massage one of the principal therapeutic modalities. This was around 500B.C. Greek athletes used friction and other massage forms to keep their bodies in top form. 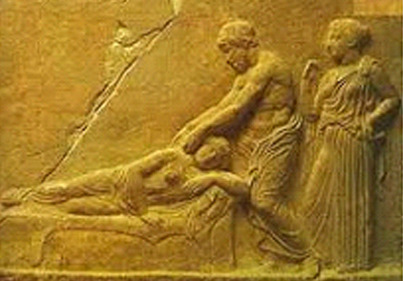 As Massage comes to the Rome, Galem writes books on the subject of massage between 200-100B.C. These books are influential until the middle ages. Guy de Chauliac (1300-1368) names massage an adjunct to surgery. Modern studies are bearing out the benefits of massage after surgery to quicken recovery. 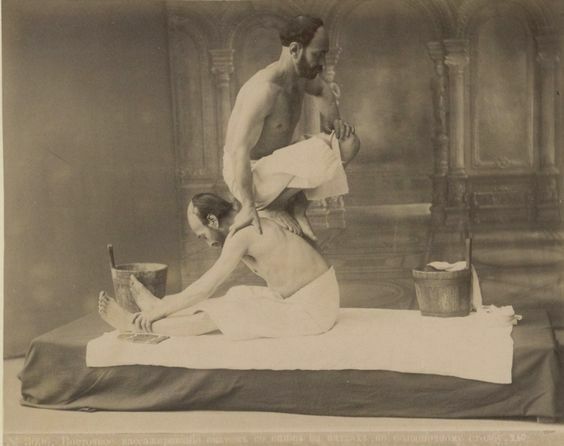 Swedish massage originated in the early 1800's created by a doctor, who was also a gymnast Per Hendril Ling. Not until we experience it is it more that just words. After we experience it, there is no need for words. We settle for so little! As long as we can get by, we let it go at that. Your body is your subconscious mind and you can't heal it by talk alone. Yes, It was once called 'Osho Rebalancing', and before that 'Rajneesh Rebalancing'. These names reflect the birth and early days of this approach, and I talk about it here. Also, I had the Indian name Rakesh, which means moon, and I talk about that in the same section. It is of interest because I was there and part of the formation and creation of this system from the very first, and i'm still at it forty plus years later. It has now mostly outgrown its initial roots, and keeps evolving with each new generation of practitioners . It is very fluid and sometimes perhaps too much so. This has been the source of major debate over the years- whether to regulate more and control more, or to just let the chips land where they will. Since no-one had the will to control, over time it has become more loose. An outcome of this is that not every Rebalancing training is of the same thoroughness. After some of the longer, more thorough trainings, the graduate can immediately do good sessions. After some of the shorter trainings, one may need more training, or it can be used as an adjunct to another mode of therapy.